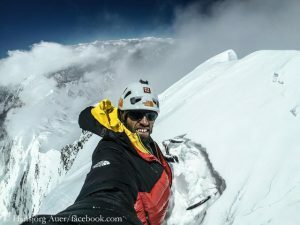 In the first two attempts in 2015 and in 2016, Lama and Anker had tried together to first climb the technically difficult mountain in the Rolwaling Himal at the border between Nepal and Tibet, about 35 kilometers as the crow flies northwest of Mount Everest. 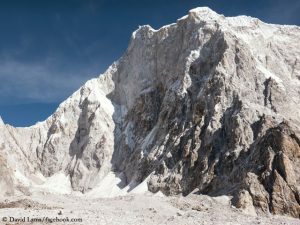 During their first try via the Northeast Ridge, they had had to turn around 300 meters below the summit. 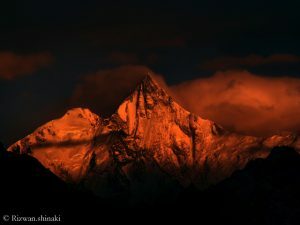 In the second attempt one year later Conrad had suffered a heart attack on the mountain and had had to leave the expedition prematurely. David had then tried it spontaneously solo, reached a little higher than the first time, but then returned. 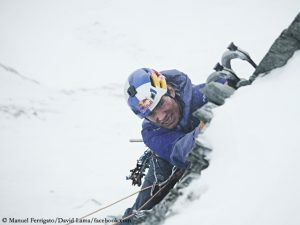 “It was no longer about reaching the summit – that would have been suicidal – it was about gathering my strength to descend safely,” David summed up his experiences at that time. 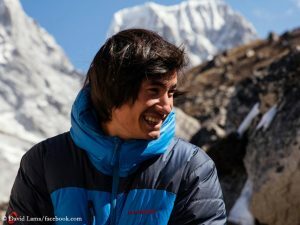 After Conrad Anker had cancelled his participation this time with consideration for his family, David Lama had prepared himself for a solo attempt from the beginning. He decided to climb up with as little material as possible in order to be able to climb long passages without rope. Obviously his tactics worked. It seems extremely unlikely that Conrad Anker would congratulate him without having been informed on David’s success from a safe source.